Sara Staffaroni, Writer and animal activist. I have a confession to make: there are at least ten books sitting on my shelf that have the words “write a novel” somewhere in the title. However, I have yet to write my literary masterpiece. 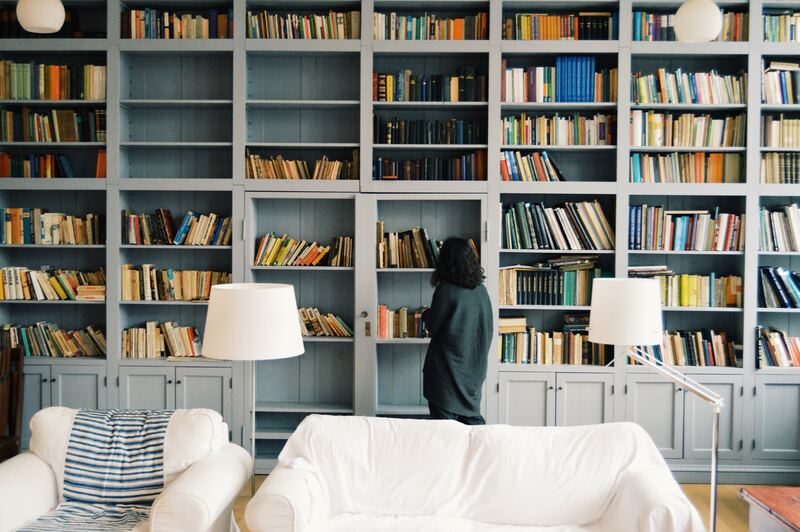 And I have a sinking suspicion that if you’re reading this, you most likely have a very similar book collection at home, and are equally surprised that your amazing novel hasn’t materialize in front of you. Why is it so hard to finish writing that book? Here’s what I think: committing to writing a novel is like deciding to stick to that diet plan that’ll help you drop those last few extra pounds–You do well for a few days, but your motivation dwindles when you realize how much you have to give up in order to achieve your goal. And — queue the violin please — I don’t have to remind you of how lonely writing can be, or how time consuming it is, especially for those who have a day job. That “demon” Orwell is referring to is passion for the craft. And although it’s passion that won’t let us shake off our dream of getting published, it’s persistence that will get us there. And we persist when we are able to find our way back to that passion after the initial “writing high” dissipates. Here are the three books that will help you stay on that high and motive you to keep writing until your novel is finished. I’ve always respected Stephen King as the undeniably accomplished author that he is, but this book took my admiration to the next level. In On Writing, King candidly shares his triumphs, surprising failures, and secrets to success. It is written in such a conversational manner, that it feels like you’re sitting across from King and he’s spilling his guts to you. Imagine realizing that you’re not alone in all your fears and struggles as a writer. That’s what you’ll find with Nell Steven’s Bleaker House. Stevens was determined to write her novel, and given that life kept getting in the way, she decided to take her writing ambitions to a remote village, Bleaker Island, where she would find zero distractions. But of course, it’s never that simple. In Bleaker House, Nell let’s us into the inspiring and challenging journey she had to take — both as a writer and geographically — to finally accomplish her dream. This book proves that although writing is a solitary act, we are not alone in the and hurdles that we have to overcome as writers. And there’s comfort in that. You do not have to be an expert in poetry to appreciate Rupi Kaur’s milk and honey. Rupi’s use of simple but powerful words is a reminder that concise writing can go a long way. Plus, in my humble opinion, her poetry is thought-provoking and just enjoyable to read. Obsessed with words, animals and travel.